First I have to apologize for my extended absence from the blogosphere. Its been a busy last two weeks and then my computer contracted a virus (this will teach me not to ignore alerts for updates to my virus protection). For those that my not know, last weekend was Independence Weekend. And if you don’t know about February 20th, I will get back to you on that one. For now here is a quick and simple recipe that I watched Kris make while I was still in Connecticut. When your guest taste these they will swear you went through a lot of work to make them, just nod your head and take credit. 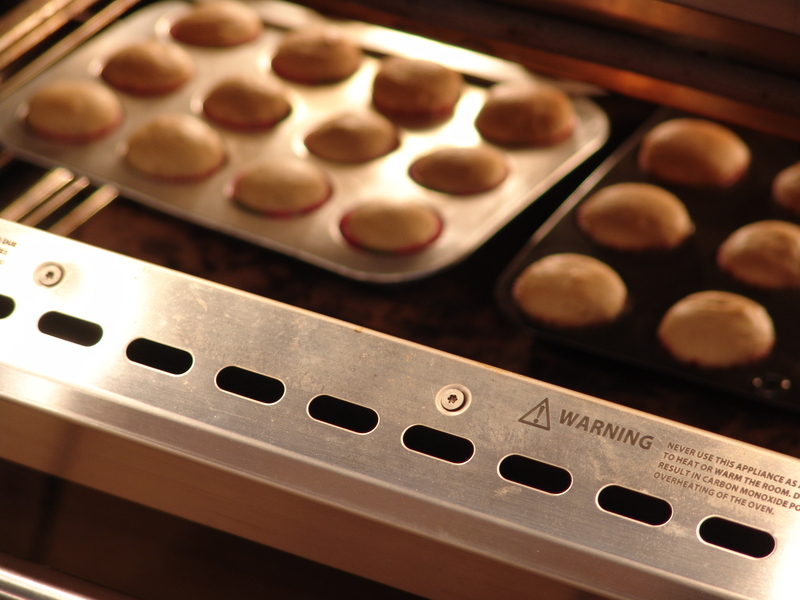 Pre-heat oven to 350 F. Place liners in two mini-muffin tins. 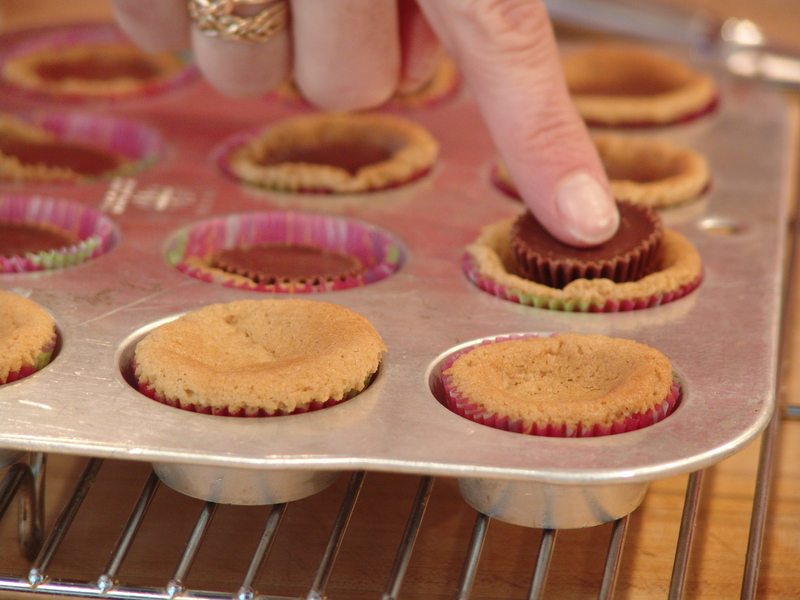 Mini-muffin tin should be just larger than the peanut butter cups. 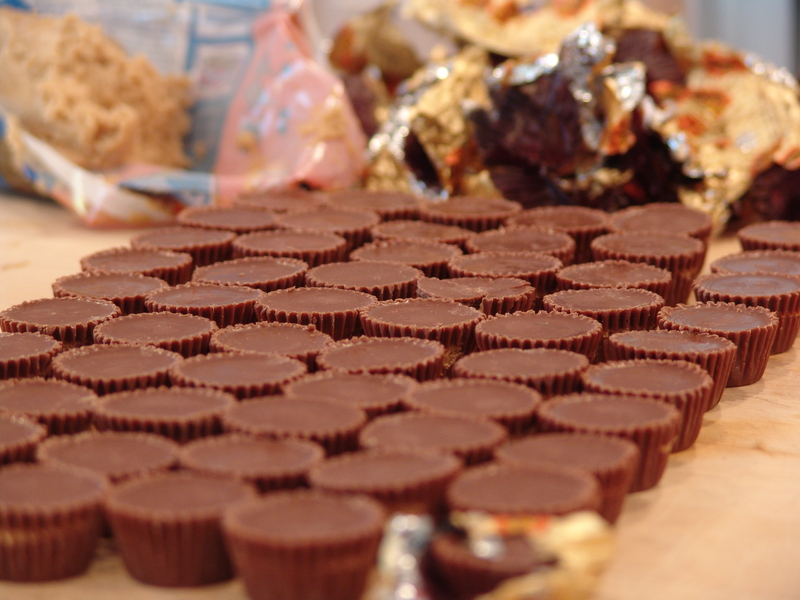 Take the wrapper off peanut butter cups and set aside. 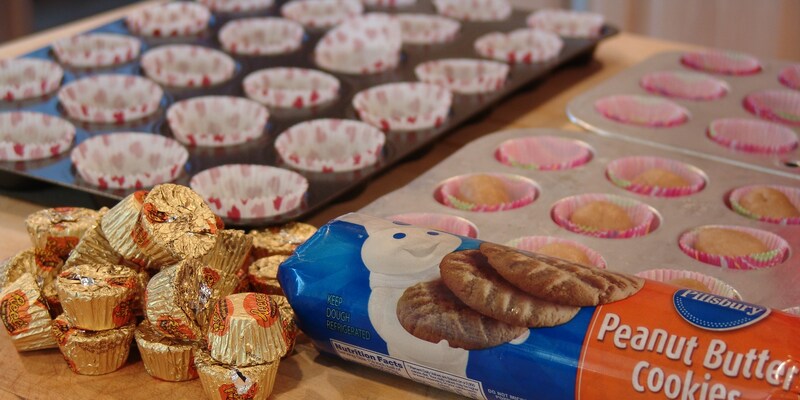 Place a small ball of dough into the liners then cook for 10-15mins until raised and browned. 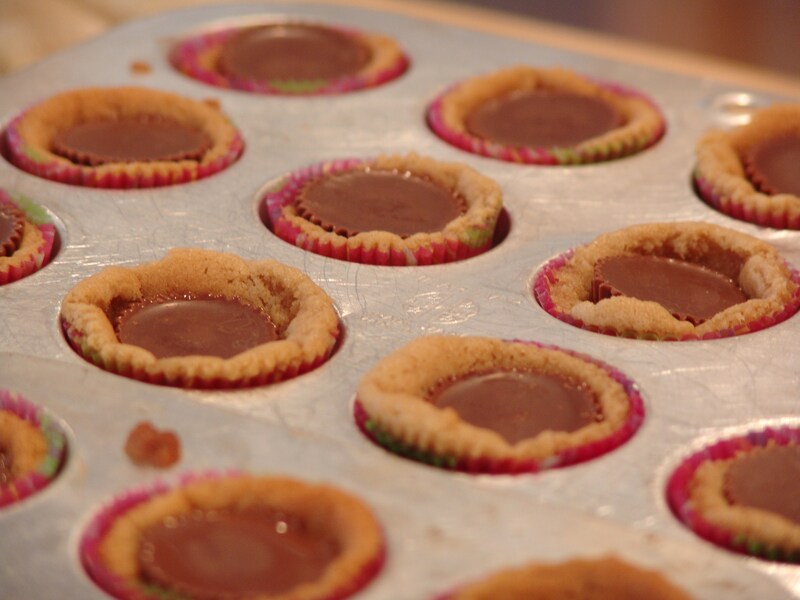 When the dough is done remove from the oven and gently push the peanut butter cup into the cookie dough. Allow to cool then remove from the tray.